Honeybees are one of the most amazing creatures the Creator has placed here below. They are are fascinating, and they also exhibit many qualities that we humans were meant to but often do not. Honeybees are industrious. 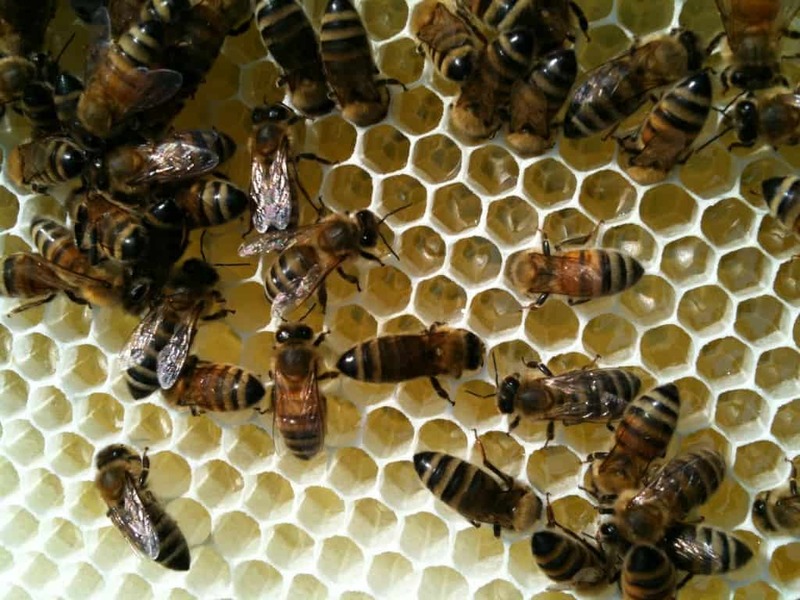 Honeybees place the welfare of their community over their own. Honeybees are loyal and true to their cause. They are social insects and take care of their young, giving their lives to storing up the best for their immediate offspring and for the generations to come. In addition to all this, honeybees are also a vital part of our environment and their industriousness impacts our human lives whether we realize it or not. Consider for instance the fact that honeybees account for 80% of all insect pollination in North America. Without such pollination, we would see a significant decrease in the yield of fruits and vegetables. In fact, in 1999 researchers at Cornell University documented that honeybees contribute over $14 billion to the value of U.S. crop production. It’s likely that number is even higher today. Unless you’ve been living in a cave, you probably are also aware that honeybees are currently in serious trouble. You may have read about the varroa mites that have been ravaging honeybee colonies here in the USA and around the world. You for sure have heard about what is being referred to as “Colony Collapse Disorder”. Despite all the media coverage, what too many people are not aware is that if the honeybee is in trouble, so are we. Some would argue that the honeybee is a sort of “canary in the gold mind”, and its difficulties are a sort of harbinger of the future of agriculture. Whatever your perspective on these issues, the loss of the honeybee will indeed have a dramatic impact on our lives and the lives our children. We would suggest you take a moment and watch a couple of informative videos to become better acquainted with the plight of the honeybee. First we’d suggest you take a look a look at Dennis vanEngelsdorp’s TED talk entitled “A Plea for Bees:. Also take a look at the “You’ll Miss Me When I’m Gone” video put together by Haagan Dazs. This second video would be particular good to share with your children or other young people that might be a part of your life. Bee deaths may signal wider pollination threat: U.N. Reuters. March 10, 2011. Baffled scientists probe honeybee colony collapse to save half of world’s crops. Daily Mail. March 7, 2011.